I was playing MTG with a new friend who is just getting into the game. He's only been playing for a few weeks now and needed help designing decks. So, I came over to his house and built him a nice fun Selesnya +1/+1 counter deck using what cards he has. In it, he has a single copy of Zetalpa, Primal Dawn . Now, I wanted to use a deck that's more of a meme deck. 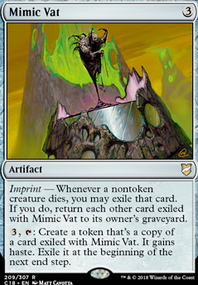 So, I cracked out my insanely stupid Simic Mimic Gimmick deck. 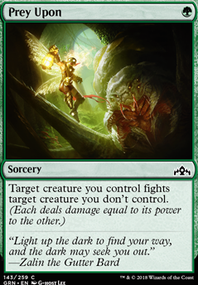 This deck seeks to just make copies of anything I want, using indestructible creatures for the shell. The game was a long and arduous one. I kept copying his creatures with Bolster and Support, making it so that our attackers and blockers were evenly matched. The goal here was to help him learn the steps and phases of the game, not out-right slaughter him. So the game took a super long time. Eventually, he cracked out a Zetalpa, Primal Dawn . 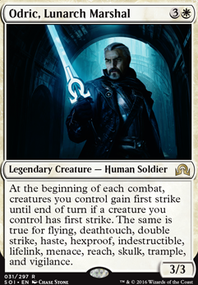 It got back to my turn and I just grinned and cast Vizier of Many Faces , copying Zetalpa for myself. He got annoyed, and progressed to cast more creatures and spells to sling +1/+1 counters on her. So, I did the exact same thing lol. We eventually had Zetalpas that were 9/13 and a 7/11 respectively. I decided to attack, figuring I'd steadily push the Trample damage through little by little. He began to do the same. We eventually got each other down to just 1 life total, mostly for the memes of it all. Well, I eventually top-decked Helm of the Host and laughed like an absolute madman. I equipped it onto my Zetalpa and the stupidity officially began. I had to explain to him what it does, and that I ended up getting two Zetalpa on the battlefield once I switched over into Combat. The reason I had to explain it was because he misunderstood the Legendary rule in a prior game where he attempted to have out two Krenko, Mob Boss at the same time in a Goblin deck I built for him. "Now, normally I can't make any copies of Zetalpa because she's Legendary. But since the token created by Helm of the Host loses it's Legendary typing, I can actually do this..."
I move to combat and get ANOTHER Zetalpa token, thanks to Helm of the Host . The game, in total, lasted some 30 minutes between my stupid shenanigans and his questions. Not to mention we put three copies of Saving Grace in his deck, which really stopped me in my tracks multiple times. Seriously an under-rated card now that I've seen it in action. Anywho, When we got to round two, he quickly destroyed my Helm of the Host with his Thrashing Brontodon and hit me hard in the face with a Victory's Herald . Truvio56 on $3 Mono-(W) Super Budget, Noob Friendly, Lifegain! Have you considered Entreat the Angels, Decree of Justice, Mikaeus, the Lunarch, White Sun's Zenith, Marshal's Anthem? Ancient Tomb, and Staff of Nin are great for the damage dealing. In terms of random good stuff Eldrazi Displacer (but you need colorless), ComeuppanceSerra Ascendant, Victory's Herald, and Reconnaissance (gives your creatures psuedo vigilance, and protects them). 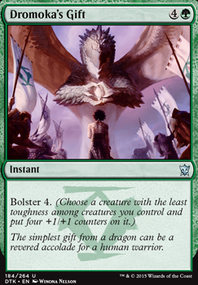 My favorite white card of all time is Lapse of Certainty. I always miss stuff that people already have, so I'll apologize ahead of time. 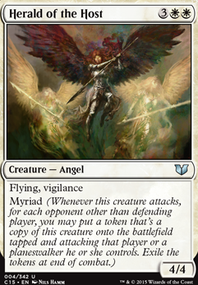 Rune-Tail, Kitsune Ascendant and Concerted Effort + Pristine Angel are two/three (maybe not Pristine Angel?) swaps I'd be interested in, but finding what to change or remove is always difficult. 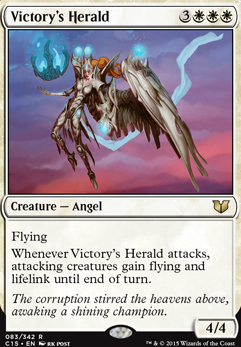 Serra's Guardian, Victory's Herald, and Angelic Guardian are all bodies I've considered, but I'm not sure what I'd swap out for them; they're on the more expensive casting cost side, and those spots are already filled. 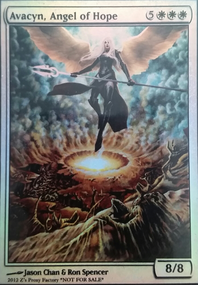 Can't have 4 copies of sanctuary, but I do have one in the deck already. 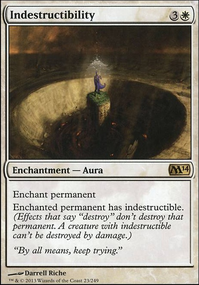 The exile part on Urza's Ruinous Blast isn't something I'm a big fan of, by its definitely sideboard material. I actually did run Helm of the Host for a while, but it was always too expensive to equip, and I was never really able to use it. Might try running it again, see if I can pull it off now with all the changes I've made.